Day 1: Arrive Johannesburg and depart for Pretoria where we visit the Voortrekker Monument, do a short city tour. We continue to Mpumalanga where we do the Panorama Route which include God’s Window, Bourke’s Luck Potholes, the Three Rondavels and Blyde River Canyon. During the evening we enjoy dinner around an open boma-fire. Game drive throught the center part of the Kruger National Park which is very good for game viewing. 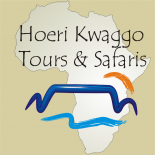 Day 4: Depart to next rest camp in the south of the KNP which is also excellent for game viewing. Day 5: Depart from Kruger Park and drive back to Johannesburg from where you take a connecting flight to Port Elizabeth where we overnight. Day 6: Depart for the Tsitsikamma National Park (now known as the Garden Route National Park) which is one of the most beautiful places on the Garden Route. We overnight in chalets in the park and enjoy a typical barbeque (braai) prepared by your guide. Day 7: After breakfast we depart for Plettenberg Bay and Knysna, two very scenic towns on the Garden Route. There are various sighseeing options like Monkeyland, Birds of Eden, Knysna Elephant Park. Day 8: We continue via George and the Outeniqua Pass to Oudtshoorn also known as the Ostrich capital. Here we visit an ostrich farm. Day 9: We continue along Route 62 via Ladismith, Barrydale and then over the Tradouw’s Pass to Cape Agulhas, the most southern point of the African continent. Day 10:From Cape Agulhas it is a relative short drive to Hermanus and then across the mountains to Franschhoek.En route we visit various wine estates. Day 11:Another day to stroll around at leisure or to visit various wine estates. In Franschhoek and Stellenbosch, which is the second oldest town in South Africa. Day 12: Travel to Cape Town where we will go up Table Mountain with the cable car and do a short orientation city tour. Our hotel is in the famous V & A Waterfront complex which is very convenient for getting a quick snack or to some shopping. Day 14: A day at leisure to do some last minute shopping or to do some extra sightseeing with your guide. Day 15: Depending on the time of the flight departure you have more time to follow your own program or to do some sightseeing with your guide.